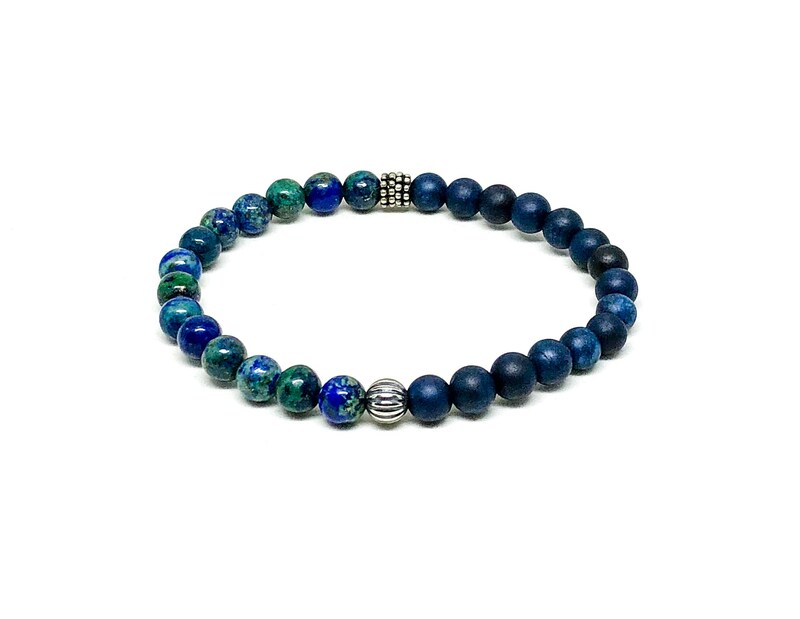 Men's bracelet with Azurite, Dark Blue Jade and 925 Silver details. 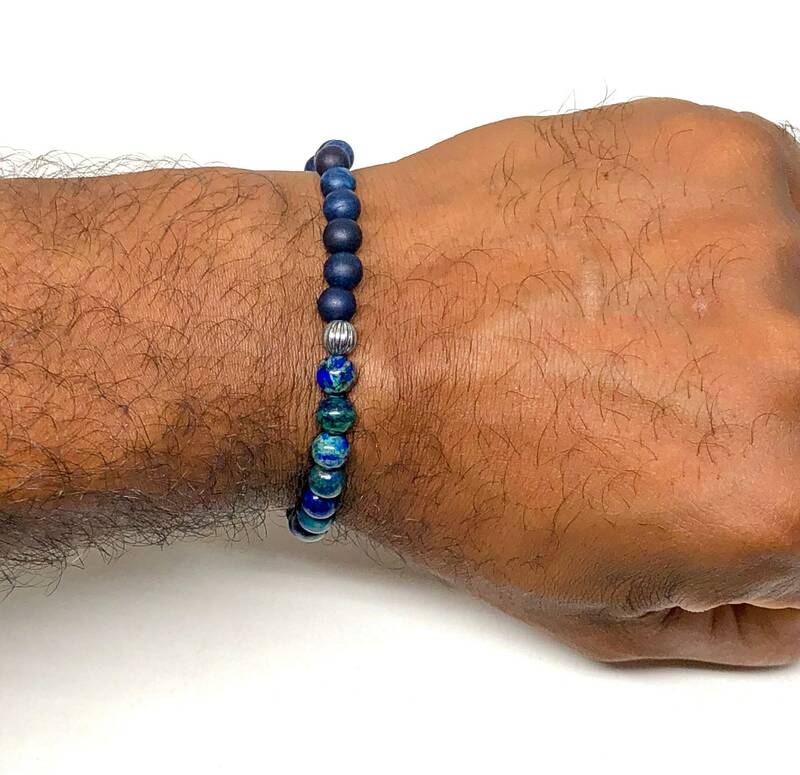 Men’s beaded bracelet made with Azurite 6mm, dark blue Jade 6mm and 925 Silver details (beads). 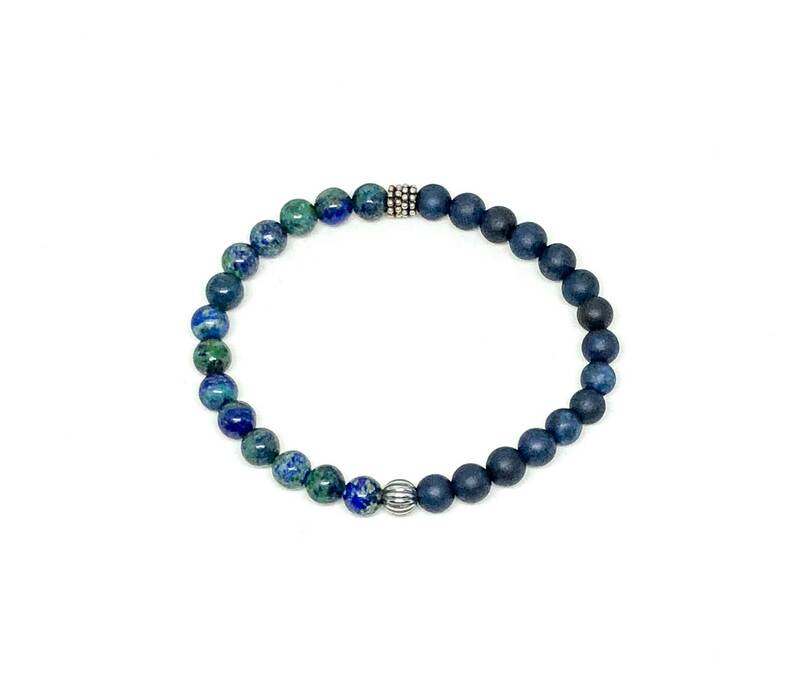 Unique bracelet with stunning blue and Silver tone. 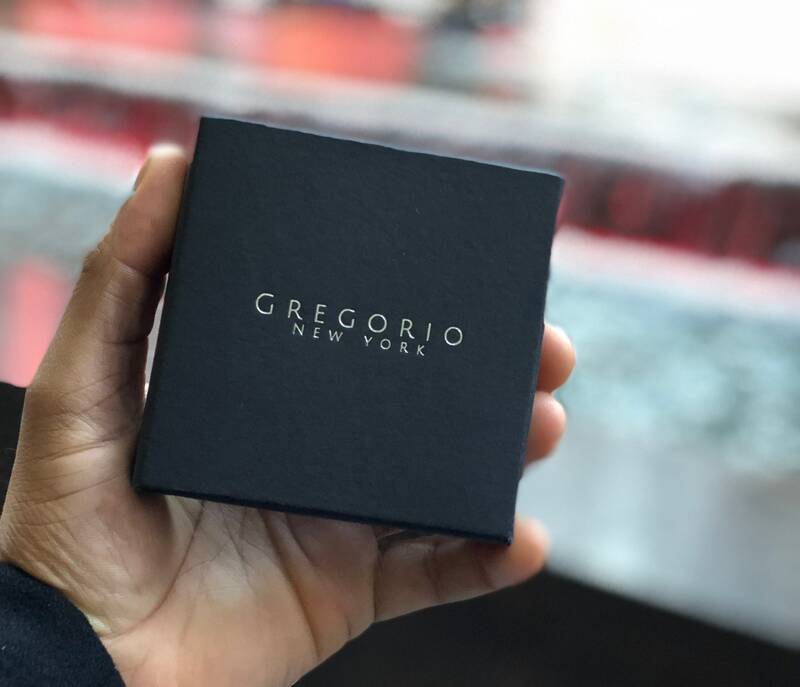 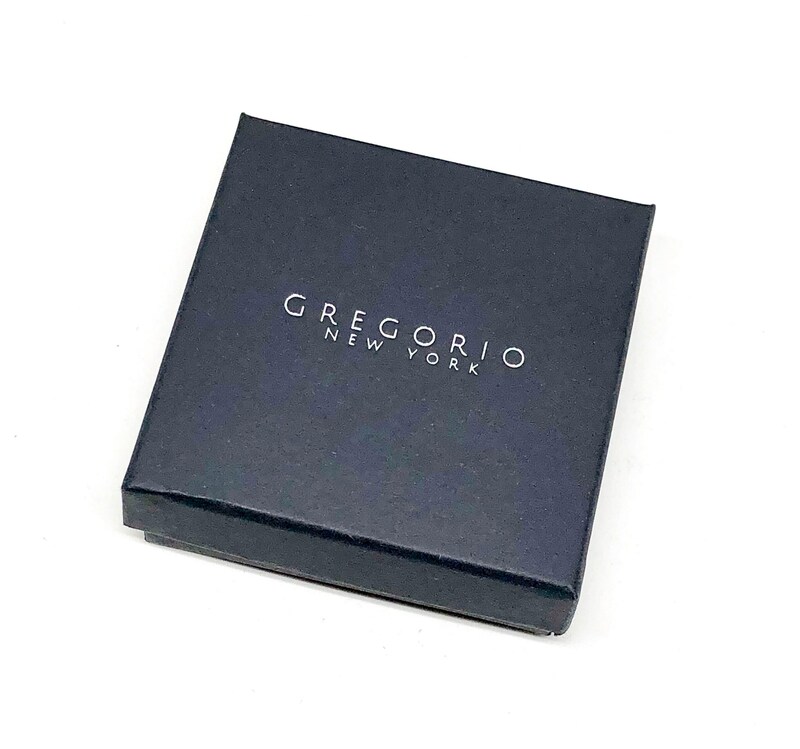 Make this piece part of your outfit for a cool look.